In 2017 a new Wonder Woman movie was released based on the DC character and comic book series of the same name and stars Gal Gadot as Wonder Woman. This is Wonder Woman’s first solo movie after making an appearance in Batman vs Superman: Dawn of Justice. The movie follows the adventures of Princess Diana (not to be confused with the past real life princess of the same name) who was raised on the Amazon Island named Themyscira, who after saving a pilot who crash landed joins the World War taking place in the outside world after he tells her about it. n this post we’ll be showing you how to make your own Wonder Woman 2017 costume, this one has been given a modern update from the attire we see the character wear in the old comics. I predict this will be a hit for Halloween 2017, so make sure you order well in advance. Without further ado let’s jump into the guide. The first item you’ll need is Wonder Woman’s tiara. 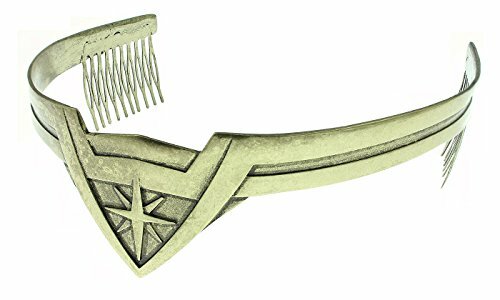 This one is officially licenced from DC comics and looks exceptionally similar to what you see on screen and features combs to slot into your hair and stay in place. Now let’s move onto the actual outfit. There are few options available for the 2017 movie at the time of writing as it’s still relatively new, check out this corset and skirt set based on the new movie which is one of the only sets available right now. It comes with both corset and dress, everything else shown in the image you’ll need to buy separately. `To add extra details to your cosplay you could opt for the six piece accessory set shown above that includes: glovelettes, tiara, gauntlets, and arm bands. No superhero would be without their weapons of choice and Wonder Woman is no different. She has both a shield and sword which she uses to attack and defend against enemies. 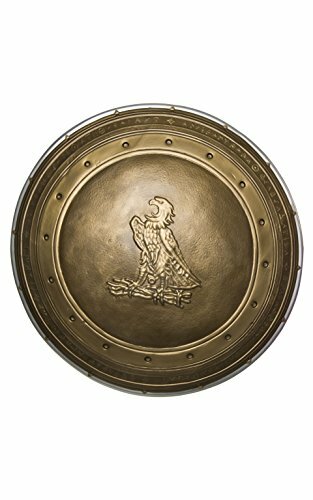 Check out this shield prop from Rubies which is 24 inch in diameter and made of moulded plastic. Then there is a replica sword prop that will make appropriate sound effects when you swing it, perfect to get you into role. 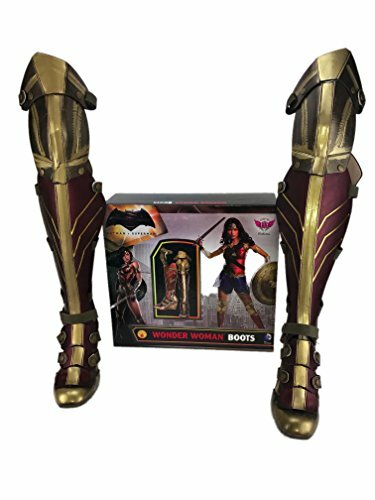 These high quality boots are modelled of the new 2017 movie and are perfect for serious cosplayers. The shaft measures approximately fourteen inches from the arch, are made of ninety percent polyurethane and ten percent rubber, come with a rubber sole and platform stands come in at three inches high to give you extra height. 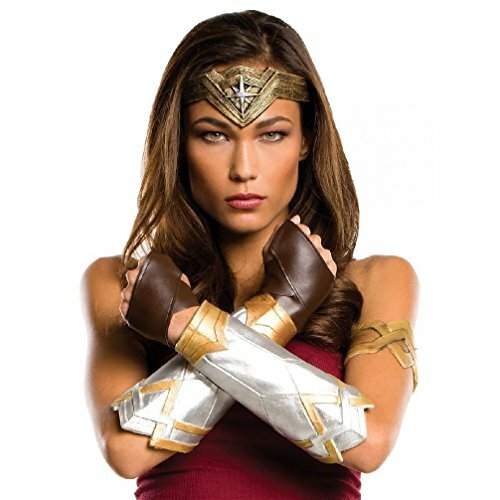 That is everything you’ll need to transform into Wonder Woman for Halloween and cosplay conventions. Don’t forget there are endless cosplay ideas on the blog for those that need inspiration, and follow us on social media for updates whenever we public new posts. Seasonal Craze is a participant in the Amazon Services LLC Associates Program, an affiliate advertising program designed to provide a means for sites to earn advertising fees by advertising and linking to amazon.com.